What does a Restaurant Assistant Manager do? Restaurant assistant managers typically work "front of house," interacting with servers and patrons. Assistant managers may oversee kitchen staff when the general manager is not present. 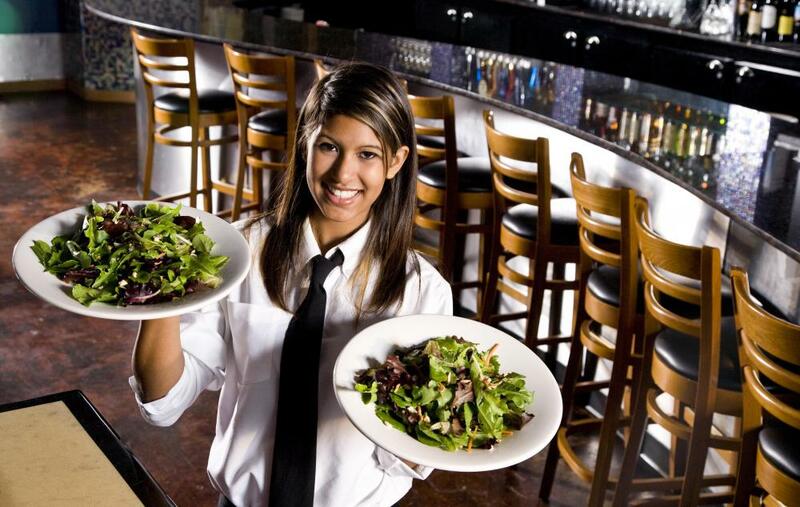 An aspiring restaurant assistant manager should have excellent leadership skills. In some cases, the restaurant assistant manager may work the cash register or serve tables as needed. The restaurant assistant manager performs work quite similar to the manager, but does so under the guidance and direction of the manager. This job can be variable, depending on the needs of the manager and the type of restaurant in which someone works. Still, there are a number of possible activities in which the assistant manager participates, and listing these gives a good sense of the typical duties of the job. Assistant managers at restaurants can have a high level of interaction with employees. Sometimes they can hire or terminate employees, they may be involved in training, and they can oversee employee work to determine if its quality is appropriate or if improvements need to be made. A restaurant assistant manager might also be responsible for conducting employee reviews, making up work schedules, or acting as a go-between communicator between employees and upper level management or owners. A number of responsibilities go into the day-to-day management of a restaurant. One of these can be receiving or purchasing food. In some restaurants, chefs are responsible for buying and assessing quality of food ordered, but a restaurant assistant manager could be involved in this process too. They might evaluate potential suppliers, including suppliers of linen, flatware, glassware or china, or they simply might interact with these suppliers when they make deliveries or when more things need to be ordered. This job could also belong to the manager or the assistant manager could occasionally perform it when the manager is not available. Handling daily receipts is another potential responsibility of the assistant manager. He or she could balance the books nightly, making sure that amounts received match up to amounts charged. Some assistant managers might then make daily deposits. Other financial matters in which the assistant manager might participate include paying employees, though some restaurants employ a payroll service. Another important job of the restaurant assistant manager may be regular restaurant inspection. Restaurants can lose their good reputation and possibly be shut down if they violate any type of health code. Making certain that everyone works in accordance with code and that the property has no evidence of violations, like presence of rodents or improper storage of foods, is extremely important. Any evidence of these things would be brought to the manager’s attention. Taking care of customers is an important part of being a restaurant assistant manager, and customer satisfaction is, of course, deeply valuable to keep a restaurant open and viable. Jobs related to improving satisfaction include interacting with diners to assess customer approval, supporting servers on the floor or hosts during busy times, and assisting patrons who have complaints. Assistant managers are usually empowered to comp meals or offer discounts should a customer be dissatisfied, and they have to make judgment calls about when customers have legitimate grievances or when complaints seem to be an attempt to get a free meal. Generally, assistant managers err on the side of caution so the restaurant’s reputation of being customer friendly is preserved. What Does a Customer Care Assistant Do? How Do I Become an Assistant Manager? What are the Different Restaurant Manager Jobs? How do I Become a Pub Manager? How do I Become a Deli Manager? How do I Become a Restaurant Assistant Manager? What is a Restaurant Health Inspection? I just got a promotion as an assistant manager and I'm trying to be the best I can be. This article really helped. Thanks! @seekinfo- I totally agree. Assistant restaurant managers do not get enough credit. The practically run the whole show, except for the waiters and waitresses. From what I have seen, out of all the restaurant jobs there is the assistant managers have the most stress. They are always the ones running around and making sure everything is OK. The also help the waiters and waitresses when it is busy. Assistant managers take orders, bring out food, clean tables, and seat people. I have seen a lot of so-called managers just stand around and talk, or say "welcome to X" when you come in the door.